Denmark, officially the Kingdom of Denmark, is a Nordic country and a sovereign state. The southernmost of the Scandinavian nations, it is south-west of Sweden and south of Norway, and bordered to the south by Germany. 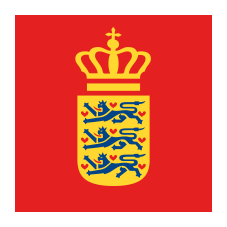 The Kingdom of Denmark also comprises two autonomous constituent countries in the North Atlantic Ocean: the Faroe Islands and Greenland. Denmark proper consists of a peninsula, Jutland, and an archipelago of 443 named islands, with the largest being Zealand, Funen and the North Jutlandic Island. The islands are characterised by flat, arable land and sandy coasts, low elevation and a temperate climate.